Recently, I asked some authorities on climate change: “What is the most effective way of decreasing greenhouse gas emissions?” They gave stock answers about decreasing our consumption. “If you were my students, your grades would all be D’s” was my response. They are, unfortunately, not alone. A recent study listed the four most effective activities that people can do to decrease their emissions. Three of them are what you might expect, while the most effective one – by far – might be unexpected. The measure used by the authors of this article is tonnes CO²-equivalent (tCO²e) emission reductions per year. A tonne is a metric ton; roughly equal to our ton of 2,000 pounds. The average person in the USA causes about 16 tonnes of carbon dioxide to be released annually. Eat a plant-based diet. This has health benefits as well as aiding the environment. It is clear that eating meat, especially red meat, is bad for your health. The effects on the world around us are also negative – excessive use of water, sewage lagoons that pollute groundwater and dead zones in the ocean from animal waste. An individual’s annual saving by avoiding meat is almost a tonne. Avoid driving a car and air travel. Our transportation system depends on fossil fuels, which generate CO² when used. It makes sense that avoiding air travel and not driving a car would decrease carbon emissions. Giving up both air travel and your car would keep 4 tonnes of CO² out of the atmosphere. Buy “green” electricity. This is quite effective, and is inexpensive, thanks to our electrical cooperative. Switching from power produced with coal to renewable sources prevents 1.5 tonnes of greenhouse gas emissions – and makes our air healthier. Have one fewer child. This is the most effective thing that an individual can do to reduce his or her carbon footprint. The effect is strong because of the “carbon legacy” of a child born in a rich country. The carbon footprint of the individual child is significant, but the legacy of all that person’s progeny (who will go on for many generations) is huge. A child not conceived reduces a person’s carbon footprint by 58 tonnes! 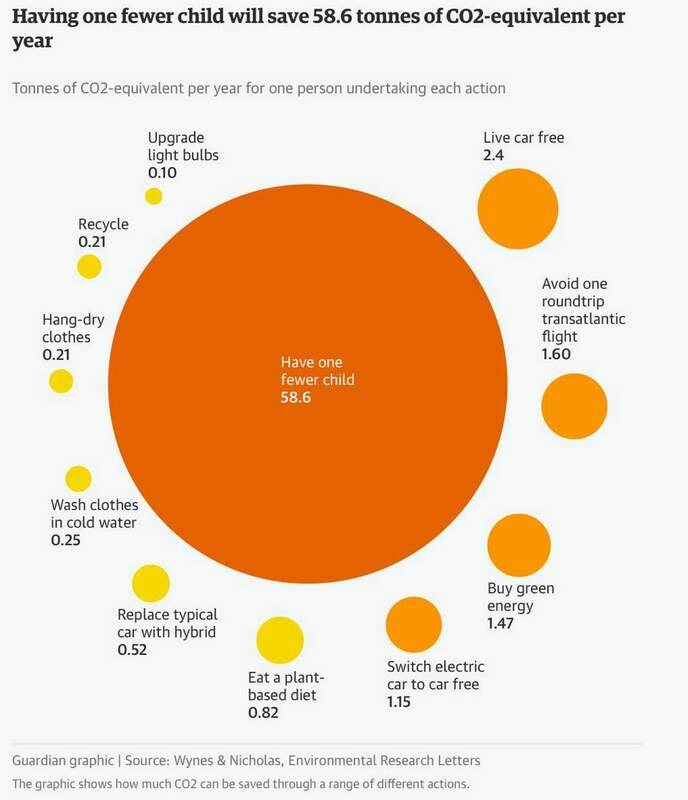 Yes, the one best action an individual can take to reduce his or her carbon footprint is to choose to have a small family – or no children at all. Unfortunately, most people who study, write and teach about greenhouse gas reduction don’t consider the impact of childbearing. The authors of the paper mentioned above also studied governmental recommendations to reduce emissions from the European Union, the USA, Australia and Canada. Not surprising, they found that the recommendations all focused on less effective actions. Likewise, the paper examined the content of science textbooks. They searched several textbooks used in Canada for suggestions to reduce greenhouse gas emissions. Very few of the recommendations were for the four most-effective actions named above. I hope that the importance of childbearing gets across at the Climate Change Symposium to be held Nov. 9. 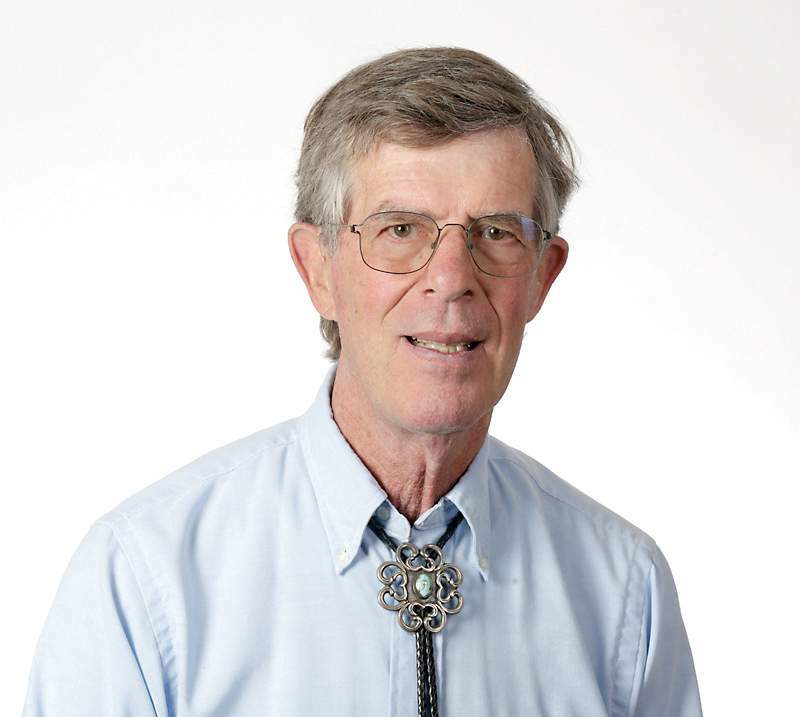 This symposium will be a new venture for Fort Lewis College Lifelong Learning programs, and will feature five outstanding experts speaking on a topic of major importance. The keynote speaker is internationally known scientist Kevin Ternberth. As with all FLC Life-Long Learning Programs, this event is free, but donations will be accepted at the door to help defray costs. It will be held from 1 to 5 p.m. in the Student Union Building ballroom, followed by a meet-and-greet session with refreshments. Please RSVP online by Nov. 6 at special-events-rsvp@fortlewis.edu, or call 247-7608.